After what had so far been a fruitless trip it was good to come across a church open and actively welcoming people inside! 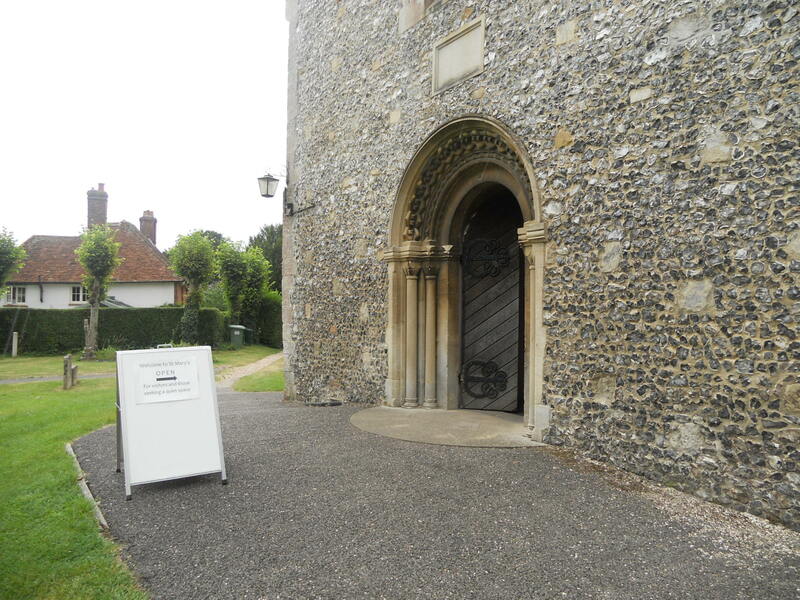 St. Mary’s stands right in the middle of Kingsclere and it would be a real shame to not have it open. The signage is very good and very welcoming – a simple point but an an important one. Too often church noticeboards are not very friendly! I have given example elsewhere. It is something that, I am sure, is taken for granted but just what do the signs outside have to say to new people? Here is a good example of how to do it. 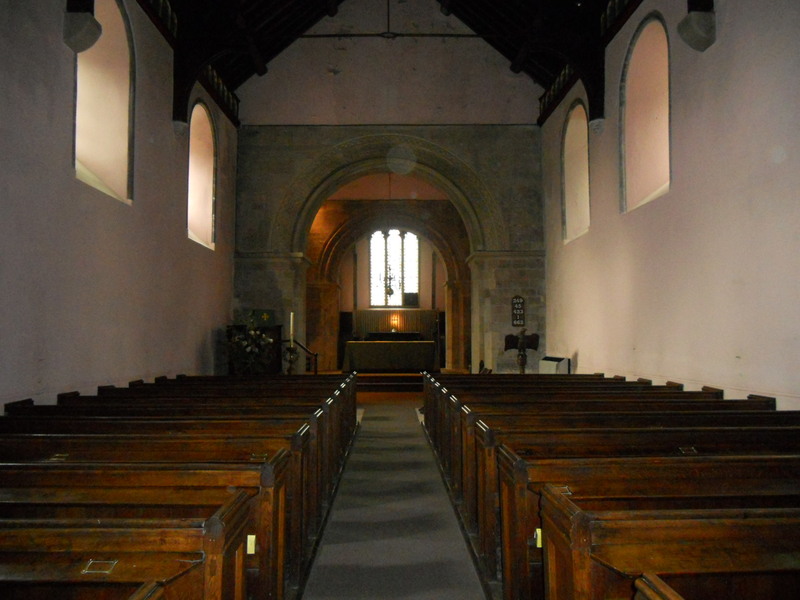 Inside, two friendly ladies were sorting out the new parish magazines. They were very welcoming and even put the lights on for me and told me what to look at. The people who clean, arrange flowers, do odd jobs and sort out magazines are real ambassadors for the church. By being friendly and helpful they provide a good first point of contact for a visitor. I found a simple Brief Guide for 20p and a bigger one for £2.50. This is a good practise to follow. The visitors book showed 12 visitors during July. 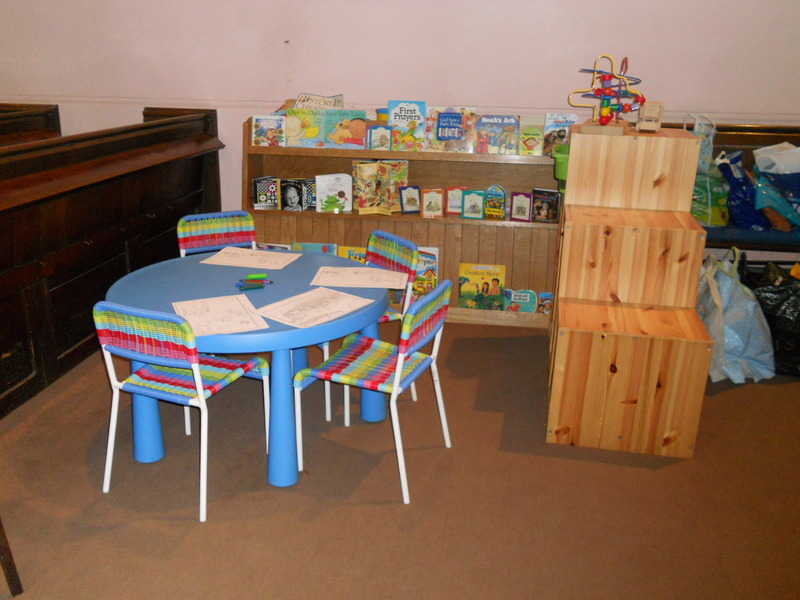 There is a children’s area which had been left ready to use – another important point. It is easy to tidy away on a Sunday! St. Mary’s is a simple cared for church. Crosses and candlesticks had been cleared away, presumably for security, but it does take away quite a bit from the interior. Some simple wooden ones would suffice. 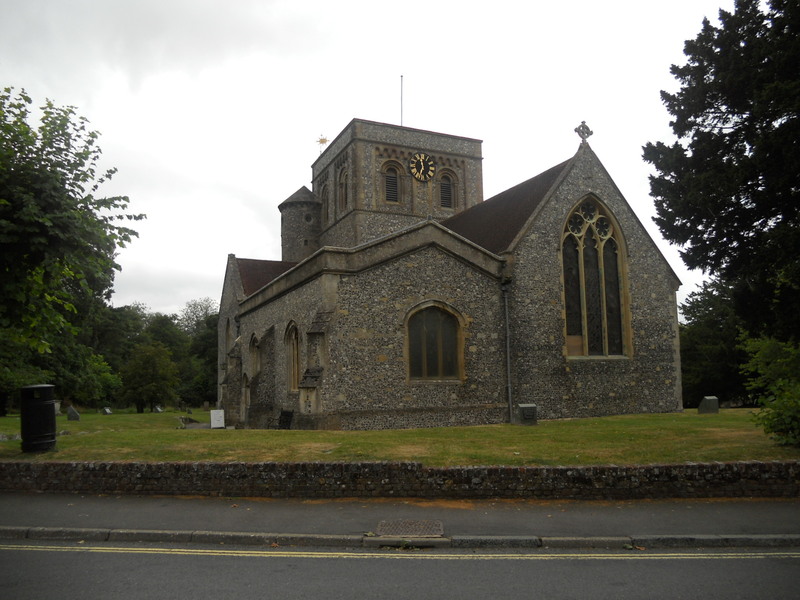 There is a votive stand to use and displays on the bells and the hassocks – a colourful feature of many churches. The Bible was left open on the lectern. 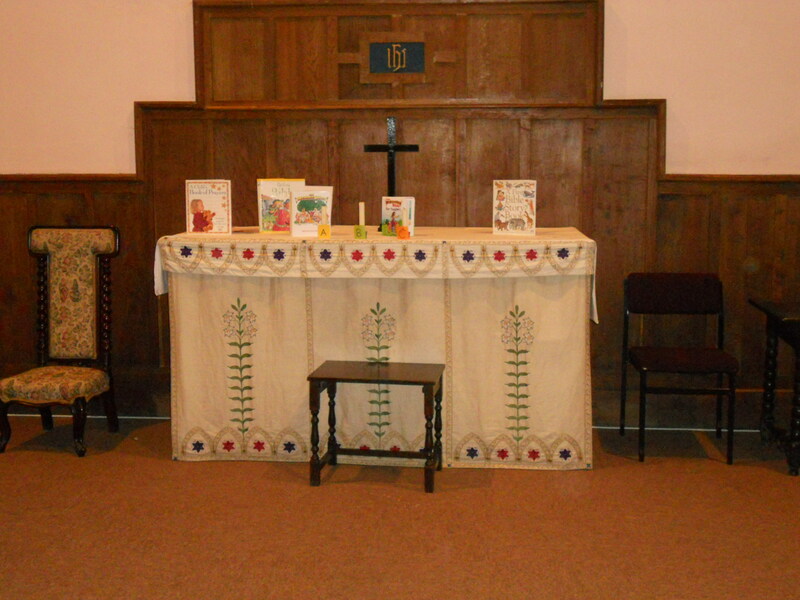 There was a display on a side altar of children’s prayer books. Update – there is now a website at http://www.clerewoodlands.org.uk/contact-us/st-marys-kingsclere/ This gives lots of useful information and is worth a look at.